The last few months have seen some incredible headlines for Northfield. Heroin Destroys Small Town, Police Chief Takes Leave, Mayor Pushes Too Hard, Church Invades State, City Administrator Criminally Investigated, Council Member Sues Council Member, and Woodley Whoops Threatens Project. Has Dundas’ New Tower Put Madness in Northfield’s Water? Perhaps it’s more about the presentation of the issues. Maybe these same topics used to be considered news-worthy, important, even of grave concern, but not a crisis screamed out across the top of a story. Could a handful of new hires be shaping the tenor of our community’s discussions to an unusual degree? The latest apparent crisis seems to be the imminent financial collapse of the City of Northfield, “Millions of City Dollars may be Lost”. I really had trouble believing the situation could be quite so dire. Did $4 million really slip away? So I conducted by own, independent, investigation. I asked one guy over my conference table and another over his file cabinet about the story. One is a relative newcomer and the other has been here all his life. Both have professional experience with just this type of financial instrument. They both told me that there is a State Statute, Chapter 118A, governing such investments. Google got it to me in two seconds. 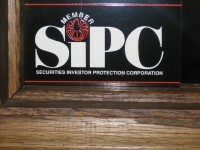 The funds must be placed in a firm backed by the Securities Investor Protection Corporation (SIPC). 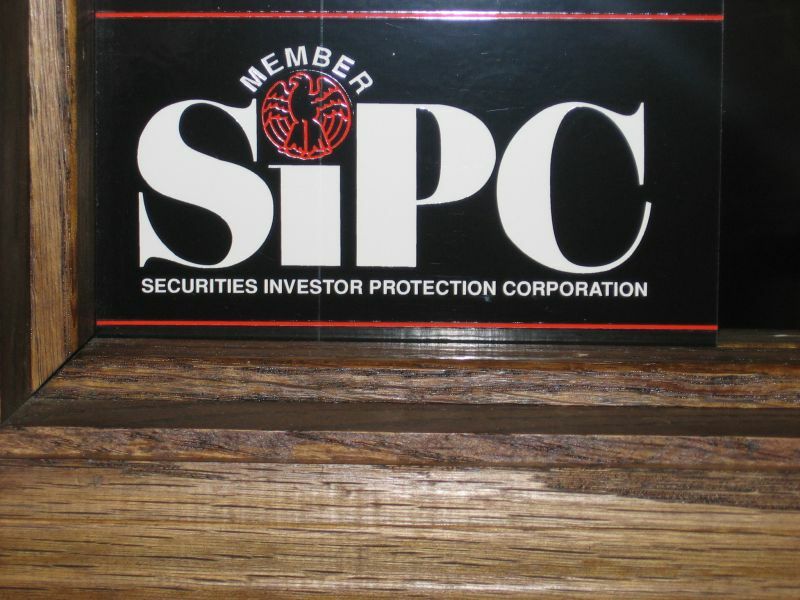 This provides the investor with $500,000 of insurance against malfeasance. Next, it is standard operating procedure to purchase CDs in the amount of $100,000 or less in separate financial institutions covered by the Federal Deposit Insurance Corporation (FDIC). This protects the money invested. Apparently it is typical to either get additional insurance (or, I think, a “Surety Bond”) from a major outfit like Lloyd’s of London or have the CDs fully collateralized by Government Bonds (or, I’m certain, “Treasury Notes”). This is all detailed in Section 118A.03 of the State Statute. Both of these guys said that although they don’t handle the City of Northfield’s CDs, they have handled or currently handle these transactions for other municipalities. They both said that they were fairly confident that any irregularities from Minnesota State Statute would emerge in the City’s annual audit. In less than 45 minutes, my slight skepticism turned to substantial doubt. I could be wrong. An hour’s research doesn’t make me an expert, and, after all, we are talking about St. Louis. Let’s at least use this as an opportunity to show a little business-friendliness. Shopping Local should begin with the City of Northfield. When I lived in Minneapolis, there was an annual ritual of dividing up the business between local banks. I have been told that there are at least a half dozen qualified financial institutions in Northfield who could handle the City’s investments. Let’s bring our money home. Previous PostPodcast: Rice County Commissioner Galen MalechaNext PostWhy Can’t the City Get a Real Webmaster? There should have been procedures in place to verify each and every dollar of the cities money each and every time a transaction took place, down to the penny. That is why there is a city staff. At some point, procedures were not followed, or false documents were presented by the firm investing the money, or both. I have 28 years of experience in business and governmental accounting. My educated guess is that there was a little of both–loose procedures and fraudulent documents. It also shows that the investment firm failed to incorporate procedures to safeguard their clients money. The firm is also liable, but good luck getting any money from them. I think it is unwise to accuse Northfield staff of ANY wrong doing. Staff would be following the procedures in place (which worked great for many years.) It seems that there was a procedural weakness, which I WOULD criticize the auditors for failing to identify. As to investing all of Northfield’s money in Northfield or Rice County, that is probably not practical. The investment firms place money on a daily basis to maximize return, and that is their responsibility. To restrict the city’s money to one locale would make it difficult to maximize the return, and more likely to repeat a problem by keeping all the eggs in one bank. Where were the regulators? Probably the same place they were when the sub-prime market exploded and imploded. Jane : would love to know your POV on this … would it be totally impractical to invest the city’s 100K CDs all with area banks, for the purpose of dollars”working” locally? Or is that just a foolish romantic (?) idea? Is it just too big a hunk of money to consider anything but the ultimate best return? When 4 million bucks go missing one would think that at the very least the auditors should refund any monies they accepted for conducting audits. I would think Northfield should be looking into the auditor’s liability and how their malpractice insurance looks. They do not guarantee against fraud. Northfield could not afford an audit that guarantees against fraud, as they would have to be present every working day. I am sure all the municipalities scammed by Rate Search, including Northfield, have new, better procedures to confirm the existence of their investments. Jane – in light of millions missing – I hardly consider my comments “a slam.” I’ve talked to quite a number of connected people about this matter and everyone feels in the dark as to specifics and that the issue is being treated too casually. Jane. I agree with David who has raised some important questions. Who are the auditots, anyway, and why the sensitivity? Auditors are not insureres. They cannot guarantee against fraud. Our society wants to place blame, and the first to get it are the auditors. The auditors are not paid to dig out fraud. For one, cities won’t pay that much, as it requires that you “go fishing” for problems. I do agree that everyone should know WAY MORE about this problem. The city should be forthcoming and the auditors could explain why they didn’t discover this fraud. However, as soon as they explain, you will have the public placing blame on the auditors anyway and second guessing the explanation. This problem would have been avoided if the perpetrator had not committed a crime. How do you expect the auditors to get the guy in St. Louis to not be a crook? It also appears that the crook was not a crook at first, but turned into a crook. How would the auditors know when that happened? In other words, sometimes the best the auditors can do is identify the loss after it happens–they come in after the fact, not before the transaction. You can’t hold them accountable for what they don’t control. I would like to know if there were some way they could have identified the problem before it got to 4 million smackers. I was upset with your comment. As a former mayor, I want to know everything about how this happened, and also the chain of command as to who was responsible. Was there adequate policy or lack of personal responsibility? The City Council is being asked to formally approve the accounting transactions needed to record the investment write-off to the books for the loss associated with the Rate Search embezzlement. The transactions would be reflected in the City’s financial statements as of 12/31/07. The net loss to be recorded is $2,258,000, reflecting the receipt of $100,000 insurance reimbursement. The transfer amount from the Capital Reserve Fund is $680,937. The resolution also directs the Finance Director to develop a plan that establishes the framework for the elimination of the remaining deficit in the Insurance Fund and to provide annual updates to the Council. Yes, some time ago I realized that it appeared that the three levels of protection that two different financial professionals had described to me had, in this case, been inadequate to protect Northfield taxpayers money. Suzy Rook and Curt Benson were right, I was wrong. I had lunch today with a former Northfielder who continues to regularly monitor his local investments. He brought up this topic, remarked that the current citizens didn’t seem as upset as he would have expected, noted that our leaders acted helpless in the face of these modern day James-Younger gangsters, and asked if State of Minnesota resources had been brought in to address both the original cause and current results of the event. Ross, I’ve got google alerts set for various “Rate Search” related things and nothing has popped up for months. Apparently, the investigation is going slowly–I believe the technical term for the slow pace is “Goodhue Style”. The last update I received was the three federal agencies (FBI, US Postal Inspector and IRS) had completed their investigation and had turned over all material to the US Attorney’s office in St. Louis. This was some time ago. Curt (#62): I’ve been wondering where the money went, and who ended up with it. It especially seemed strange that the city would have to send that much of our money that far out of town to get halfway decent rates. Now it seems downright weird! Thanks for posting the links. Now I’m wondering who in town first hooked up with these guys, and how high a person would have to be, and on what, to trust them with four million dollars. The city has been slow to react to the missing millions. According to an article in the Las Vegas Review-Journal, dated Sept. 18, 2007, the Nevada State Bar Association had already filed suit against Rate Search, Inc., for the $300,000 that is was short. So why hasn’t the city filed suit? The general rule on judgment liens is first in time, first in right. By the time our fearless leaders get around to taking legal action, there may not be any meat left on the bones of Rate Search. Once again, the city government’s incompetence is compounded by inaction. Kathleen, has the Council ever discussed filing a lawsuit, as Dave Hv suggests? A number of options have been discussed and are being followed up on. The League of MN Cities is assisting with this. The dilemma is there are so many entities / individuals affected (total losses of $5 million) and it does not appear to be many personal assets to go after. David Hv. (#66): Hypothetically, and only hypothetically, if it was an inside job (i.e., if some of the guys at city hall were in on the scam, or fear that some of their friends might have been), wouldn’t they want to avoid drawing attention to themselves with a lawsuit? Scott: Hypothetical thieves would probably be up there throwing mud on the Rate Search guys to distract any attention from themselves. Collusion is difficult to maintain because there is NO honor among thieves–you can bet that the Rate Search people would be screaming bloody murder if they had some one to blame or drag down with them. I agree with David–the city’s inaction is inexcusable–if you consider your options too long they will all be gone. Just because there are a lot of victims doesn’t mean you shouldn’t get your name on the list–if everyone who sues recovers 10% of their losses, it is more than they would get if they didn’t sue. Northfield is willing to spend all kinds of money on all kinds of maybe lawsuits where they have NO chance of recovering any money, such as Roder’s maybe lawsuit for termination when he quit or for a report on whether or not it is legal for them to make an expensive, wasteful decision-but they are not willing to proceed when it will be the ONLY chance of recovering their invested funds. Go figure. The City is continuing to press the agencies involved with the investigations on Rate Search and missing city funds. Staff has been in contact with IRS investigators and will be providing additional information to assist their investigations. Additionally, staff has been in contact with the League of City assigned attorneys following up on the possible identification of the missing CDs and potential locations. As the investigations continue and more information becomes available, we will continue to reassess the City’s course of action taken to this point, make changes when prudent, and take the most forceful action that brings some probable level of success, success being the protection of City assets and the recovery of City funds if possible.